It always takes forever when I decide to write something about hanbok. This time because it’s been a while since I last wrote about this topic. I decide to do another short post, centered about the clothing for the men during Joseon Dynasty. Although the men of Joseon Dynasty wore more subdued colors than the women, they also had an array of clothes and actually, they had more styles than the women’s hanbok. It depended on the occasion and the place they’re going to for the choice of clothes. 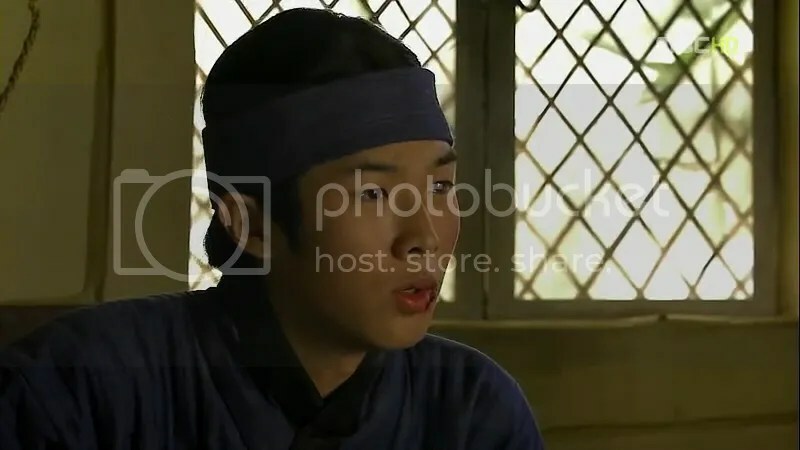 I pick up the most suitable model for this post because he has the opportunity to wear every type of clothes available for the men, and he’s Kim Boong-Do, our Joseon Scholar. Some of these are just repetitions from the post I made exactly one year ago but I just love how Boong-Do basically has the chance to wear everything, from the daily wear to the court attire. Hence I decide to put the focus on the clothing for the Joseon males since the highlights are mostly given to the women’s hanbok compared to the men’s hanbok. The basic clothing of the men consists of two parts: the top jacket and the pants. The top jacket is known as jeogori (저고리) and unlike the women’s jeogori, it’s longer in length, usually reaching the length under the waist and it is loosely fit to the body of the wearer. Jeogori has the overlapping front panels and they are tied together by the jeogori strap, goreum (고름). Goreum is made from the same fabric used to make the jeogori, different from the women’s jeogori which has its goreum made from the fabric used for the git (깃) or the collar of the jeogori. The pants are known as baji (바지) and both hems of baji are tightly tied on top of the socks near the ankles. Strings, or rather the straps used to tie the baji are called daenim (대님). Baji and jeogori are usually made from the same fabric and hence, have their colors coordinated with each other. Light colors such as white, pink, light bule, and light purple are among the popular choice of colors for jeogori and baji, but commoners usually stick to the white color as white cotton was cheaper during Joseon Dynasty. Another important part of the clothing for men is the socks. The white socks, boseon (버선), have similar style regardless of the status of the wearer. Whether a man is a peasant or a king, he has to wear the white socks with the attire fitting his rank and social status. The difference probably lies on the design, thickness and the type of fabric used to make the boseon. The shoes differ depending on the status of the wearer. Commoners wear jipsin (짚신), or sandals made from straw. They are cheaper and most people can afford to buy the sandals. Notice the daenim used to tie the baji is visible on Boong-Do’s left leg and it has similar color to the baji itself, made from the fabric used to make the baji. He has his boseon on and he’s about to put on the jipsin. As for the hair part, the men’s hair is tied on top of the head in a small topknot or sangtu (상투). The hair is maintained with the help of a kind of headband worn on the forehead, manggeon (망건). A pair of ornament, gwanja (관자), are put on left and right sides of the manggeon. Apart from showing the status of the wearer, gwanja also function as headgear holder. Jeogori and baji would be the daily wear for both the commoners and the noblemen, but the noblemen ‘show’ these two only when they’re at home. These clothes are almost like a pair of pajamas for them and they always wear something else on top of the jeogori and baji. The clothes, or the overcoats, worn on top would depend on the occasions or places that they’re going to. For the commoners, they usually opt for a layer of jacket on top of the jeogori. The jacket is sleeveless and makes the sleeves of the jeogori visible. The length differs, sometimes just a short one, reaching under the waist or even longer, reaching the knees. Well…I would like to ask if anyone know what the outer jacket is called? It’s not jokki or magoja since it has overlapped fronts, so I would appreciate if someone can tell me the name..This has been bugging me for months! Commoners usually tie a sash-like fabric to hide their manggeon and forehead, then go out without putting on any kind of hat but when they’re traveling quite far, they will wear a conical hat, satgat (삿갓) to protect themselves from the heat or rain. Scholars and noblemen, or yangban, prefer to put on a overcoat, dopo (도포) when they go out. Unlike the narrow sleeves that jeogori has, dopo has wide sleeves that look like ‘flapping wings’ when they are spread. Look at how wide Boong-Do’s sleeves are..
Dopo can be worn by itself or coupled with another layer of sleeveless vest called jeonbok (전복). Jeonbok doesn’t have overlapped panels in front and it can be of the same color of the dopo or different, depending on the wearer’s style. In Boong-Do’s case, he always mix-and-match the dopo with matching jeonbok. Topping these clothes is the saejodae (사조대), or the belt. It’s actually a tasseled cord tied around the waist and acts as a belt. The colored saejodae is reserved for the noblemen while commoners are limited to black colored saejodae. The materials used to make dopo can vary, from silk to cotton. Silk is usually for noblemen while cotton dopo is an affordable choice for seonbi, or ordinary Confucian scholars. 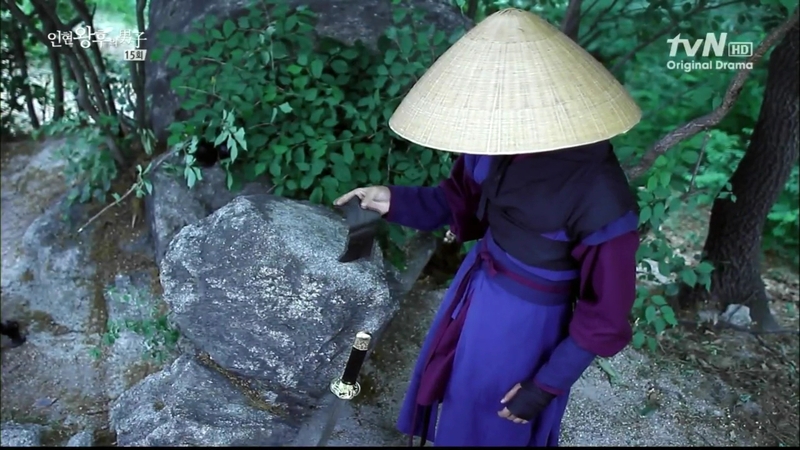 The hat, or gat (갓), is the common headgear used when the men go out out their house. If the man is from a noble family, he will have the privilege to wear a string of precious stones with gat known as gatkeun (갓근). When they’re chilling out at their homes, yangban men don’t just wander around without covering their topknot. 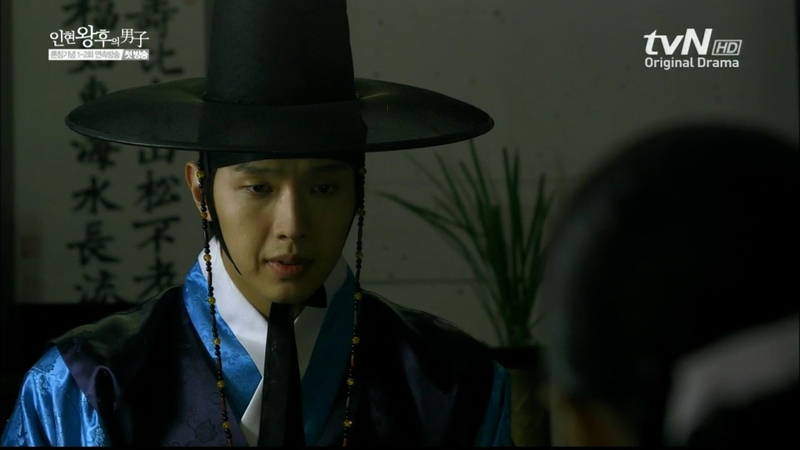 They will choose from a variety of gwanmo (관모), or headgear made from horse hair dyed in black color. There are many styles, for example jeongjagwan (정자관). The finishing touch for a standard yangban clothing is of course, the shoes. They are known astaesahye(태사혜), made from animal skin and lined with fur and skin inside. They’re quite expensive since they’re reserved for the noblemen. The court clothing is worn when a man is going to enter the palace. Since Boong-Do is one of the officials working in the palace, the attire is almost like his daily attire. 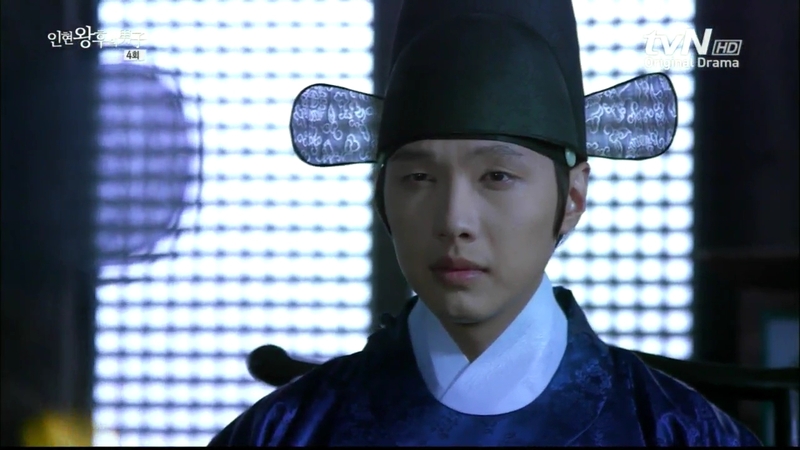 The attire is called dalryeongpo (달렁포) and varies according to the rank of the wearer. Boong-Do is a fifth rank official, so he’s wearing blue colored robe.Together with the robe, a belt, seodae (서대) is worn around the waist. The belt is made from leather and lined with precious stones and horns according to the wearer’s rank. Not to forget, the headgear, samo (사모) and the boots, mokhwa (목화) are also a must. Next Post Catching Up with…. Thanks, I love when you do these posts. So informative! That was fascinating! While I sit watching The Princess’s Man, again; I became enchanted with the costumes again! Can’t settle in my mind who looks more dashing in hanbok: Boong Do or Seung Yu! Ohh, decisions! I must admit that TPM has the most beautiful hanbok collection 😀 although they look quite modern for the Joseon Dynasty, but still, I love those colorful hanbok, especially Seryung’s hanbok! Hahaha don’t even try to compare both of them..I’ve had a hard time doing that, and settled down with the idea that they both have their own charms! Wow really great post! Hands down to you for taking the time on gathering all the info regarding these things. Yeah a post on Wedding ceremonies would be nice as well. By any chance do you know what this head clothing is called? And why do they wear it, why not a gat or smth else? Thanks and sorry for bothering you haha. Aigoo…I love to receive questions! Hahaha..don’t worry dear! Wow…learning about traditional clothes have never been so….squeal-worthy. Thanks for all the very interesting information! My, Korean clothes are so elegant. Can’t wait for the Female version! I absolutely loved this piece you’ve done. I won’t remember all of the names, but I appreciate that you’ve pointed out all of the little things. I need a visual discription in order to understand what’s what. So, thanks again, I always wondered why they wore those headband things… I guess it was their form of hairspray. LOL! Thanks! love it – I just returned from Korea. and seeing the hanboks, gats etc in the museums was very cool. Unfortunately, most of my pictures didn’t come out. 😦 One of my favorite things was seeing some old men making the straw shoes. Heee…I actually Googled up about Yuan and Goryeo clothing..but the resources are quite limited. I’m still searching and who knows,if I can get sufficient and good reference, I’ll write it up! LOL that metal thing is still a mystery to me…maybe it’s just a hair ornament? Sometimes Kichul looks like a girl with all those ornaments, earrings, and elaborate clothing that he wears every day. Hahaha! This was completely fascinating, and of course gave me my Kim Boong Do fix. Some days I just think, I miss Kim Boong Do. totally loved this article. Thanks. The Joseon court was based on Ming Dynasty’s government structure with nine ranks. It’s quite complicated and the system underwent few changes throughout the dynasty. Wikipedia has a decent article explaining the basics under its ‘Joseon’ topic, Government section. I’m not really sure about the styles but for the robes worn by the officials, the colours and the badges depended on the ranks: 1st senior to 3rd senior wore red, 3rd junior to 6th junior wore blue, while 7th senior to 9th junior officials wore green robes. 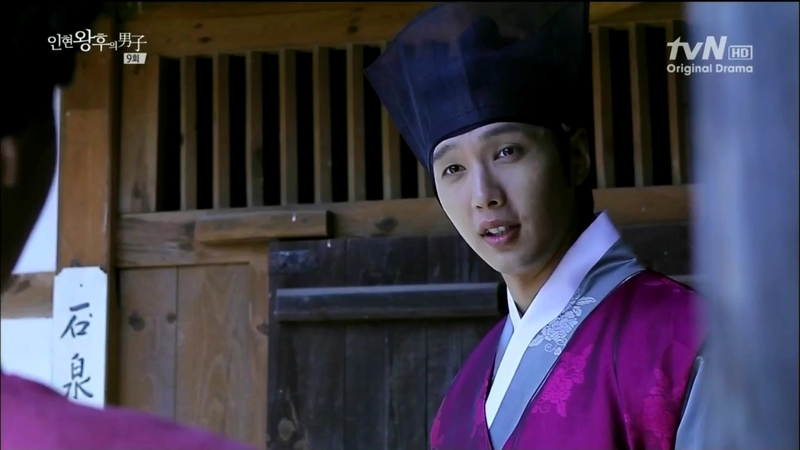 You can see it in most sageuk set in Joseon. Does anybody know where to buy a manggeon and the gwanja? You think you could upload info about the costumes in Gu Family Book? In particular Choi Kang Chi and his father Wol Ryung and the other fighters at the school? p/s: Sorry for the late reply..
Do you know where I can buy manggeon? I am from NYC in USA. I tried to searched through google and amazon. Its hard. They are like hard to find. They only have two gats on amazon and I know they are expensive but I prefer manggeon because I love the looks of it. Plus I couldn’t find the picture to see the back of manggeon.